The 7 Causes of Caregiver Guilt is an essential resource for the growing number of elder caregivers in today’s society. In this book, author Peter Mangiola RN, MSN shares valuable insights gained during his 25+ years working as a caregiver and owner/operator of two New Jersey senior care agencies. Peter developed this resource to help caregivers understand the cause of the inevitable guilt that comes with caring for aging seniors; and to provide guidance, hope and encouragement to help overcome these challenges. 65 million Americans, roughly 29% of the U.S. population, have been thrust into the role of senior caregiving. Many of them did not choose this role but have taken it on by necessity. This inevitably leads to a disruption in their lives and can also lead to feelings of guilt due to the stress that accompanies caring for an elderly loved one. Unfortunately, the psychological and emotional stress being borne by many of our nation’s caregivers has been largely ignored. Many feel like they are the only ones going through this struggle and do not know where to turn for answers. 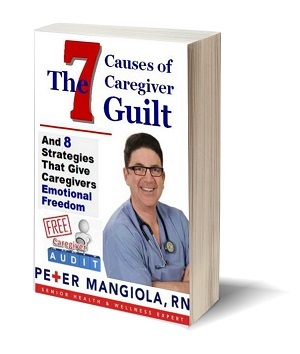 In The 7 Causes of Caregiver Guilt, Peter reassures caregivers first and foremost that they are not alone; there are millions of others going through this same struggle. The book starts out by defining guilt. Next, Peter lays out seven of the most common causes of caregiver guilt. Finally, he provides practical advice as well as eight strategies to help caregivers overcome guilt place themselves on the path to emotional freedom. Peter Mangiola, MSN, RN, is an author, speaker, and entrepreneur within the senior care market. 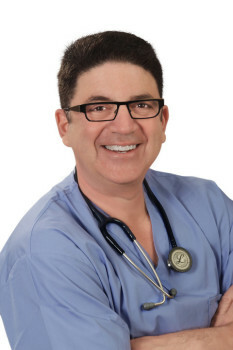 In addition to his prodigious online experience as a caregiver advocate through his articles, his blog and videos, he continues to extend his scope to include health, diet, home function and design to enhance the life quality of those giving the care as well as those receiving the care. Peter is also passionate about helping seniors leverage the available resources within social and governmental services such as the Veterans Aid and Attendance program. As a consultant, educator and regular speaker for many groups and organizations over the years, he covers topics including Geriatric Care Management, Dementia, Alzheimer’s, and Senior Care Health Service & Advocacy. His website is www.PeterMangiola.com. If you are interested in having Peter speak to your group or organization, please email him at [email protected]. Moving Senior Parents: When is the Right Time to Speak to Mom and Dad About Relocating?